“We can dip in and dip out. If you need us in, we’ll be there with our sleeves rolled up working side-by-side with you. But if you need us to go away while you consolidate or let a stage of change settle, that’s what we’ll do. It’s all about finding the best solution.” – Lyndal Hughes. For more than 27 years, Lyndal Hughes has specialised in executive coaching and facilitation, change leadership and implementing cultural change with a focus on resilience and performance. State government agencies and leaders in US, UK and European organisations. And with a Masters in Coaching Psychology from the University of Sydney and a Masters in Organisational Psychology from the Manchester School of Management (UMIST), Lyndal has helped steer effective transformation and leadership strategies around the world, delivering measurable differences in workplace behaviours, well-being, organisational culture and leadership impact across a range of sectors. And whether she’s leading an international team to implement a global system impacting 15,000 people across 15 countries, or in one-to-one coaching for executives out to improve their leadership style, her goal remains the same – to provide rigorous, evidence-based, practical tools and approaches to deliver change in a way that achieves resilience, high performance and positive workplaces. A founding membership of the British Psychological Coaching Psychology group. 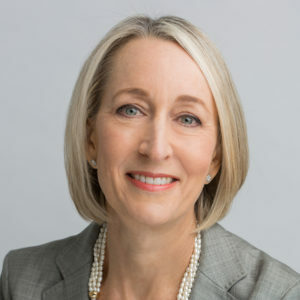 Most recently Lyndal was Head of Culture and Change across the Woolworths Food Group, prior to which she was Director and Head of the Culture and Change practice with Third Horizon management consultancy where her focus was in integrating design thinking principles with organisational psychology to assess and deliver breakthrough change. As a former London-based Accenture Executive and an Australian/NZ representative of Robertson Cooper Ltd (recognised global experts in workplace well-being), Lyndal brings an unrivalled breadth of experience to every consultation.